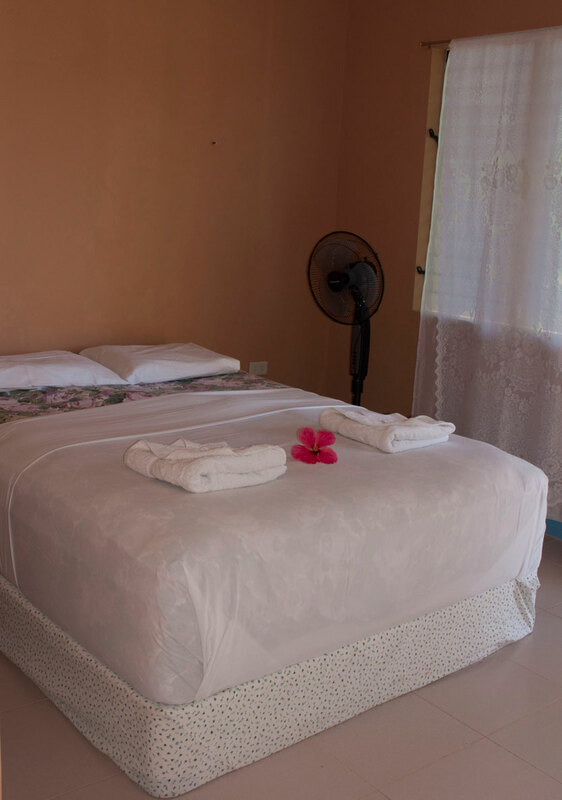 We offer affordable beachfront accommodation about 15 minutes walking distance from Larena’s centre and 20 minutes drive from Siquijor town. We are located on a very peaceful stretch of beach, enough far away from roads not to hear any noise. Your peace will not be disturbed by karaoke bars or fighting rooster farms, you'll hear only waves and singing birds. Our hill-side location means less mosquitoes as we don't have stagnant water. We have two clean, tiled, beachfront cottages and one duplex on the hill with great beach view, all equipped with a large double bed, fan, en-suite bathroom, storage closet, mosquito net and free WiFi. The shade of trees, an almost constant gentle breeze from the sea and our extra layer of nipa roof are guarantee for pleasant temperature without the need for air-conditioning. The sea-facing verandas offer views of Negros and Cebu islands. 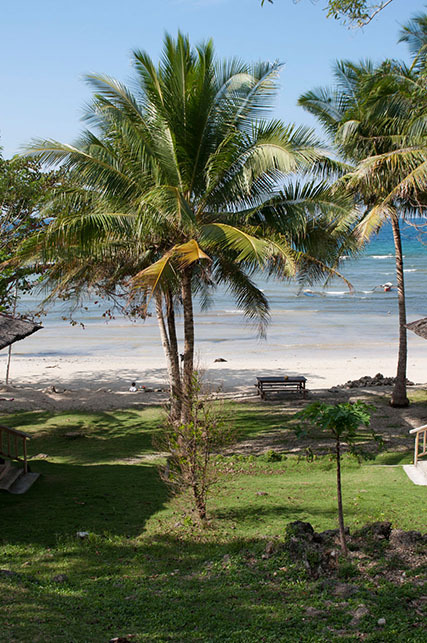 Our beach is very gently sloping with fine white sand, perfectly suitable for small children. 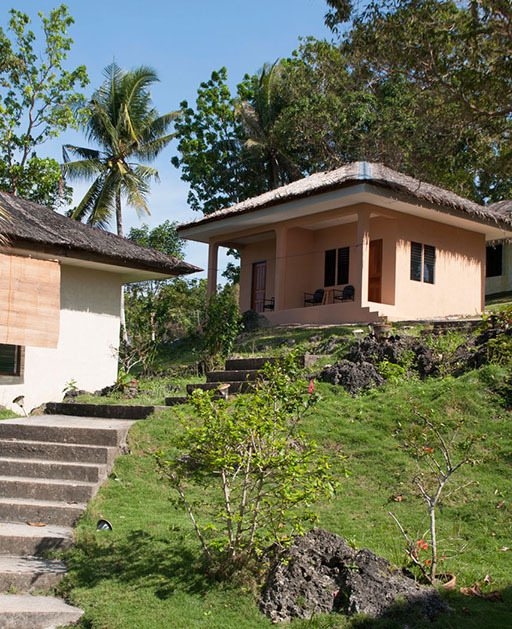 For families traveling with children we can provide extra bed in each of the cottages. 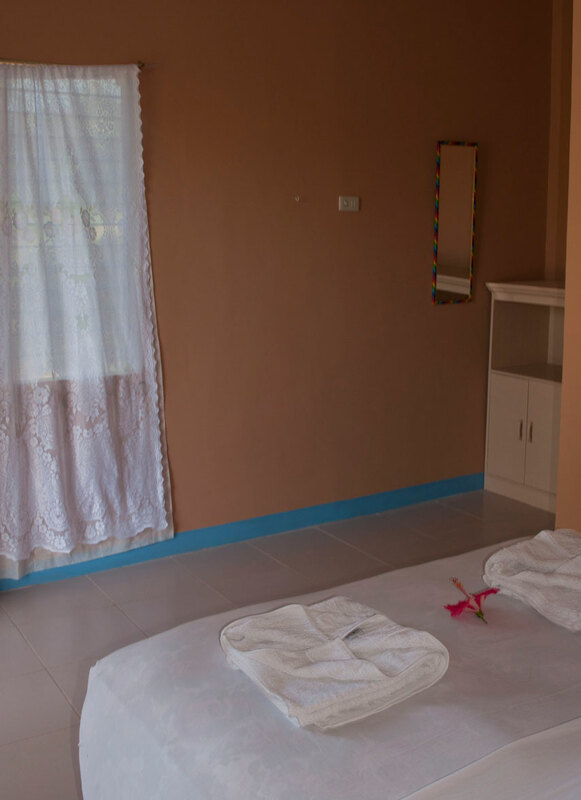 For families traveling with children we can provide extra mattress in each of the cottages for 150 PHP/day.